If you’re visiting for a weekend, need a bed after a big night out, or you’re here to stay, here’s our guide to getting the best value for money in Brighton. The newly reopened King’s Arms is the newest kid on Brighton’s hostels block, and it has been making a very good first impression, inspiring nothing but glowing reviews. Located near the Old Steine on the edge of Kemp Town, the King’s Arms is walking distance to all the shopping areas, seafront, and tons of bars and restaurants. Their approach is personable and laidback, with the aim of making your stay in Brighton as fun and comfortable as possible. They have a 24-hour reception desk, to help you or just to entertain you at any hour of day or night! The King’s Arms have a fully stocked bar as well as regular events including weekly poker evenings and quiz nights. They offer ‘all you can eat’ continental breakfast in the mornings for only £1.50 which is unbelievably good value for Brighton. 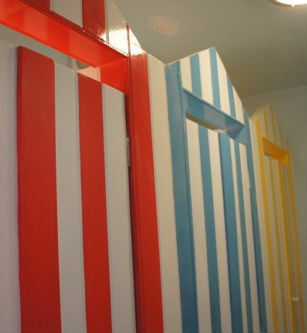 The decor is bright and fresh, with unique beach hut-themed showers which look amazing, and security lockers inside each room. There are dormitory style rooms as well as comfy private rooms if you would like more privacy. 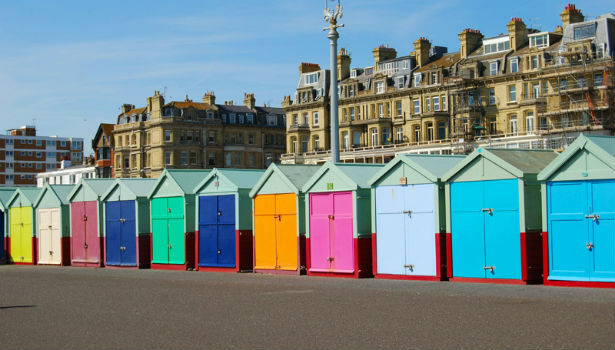 With prices starting from £8 per person, and with a range of dorms and private rooms, you can’t get better value for money in Brighton. Booking is only available through booking sites. If you’re coming to Brighton to relax on the beach, take in the sights, do a bit of shopping and indulge in the nightlife, stay in a place which is perfectly located, whilst having all the comforts of home. 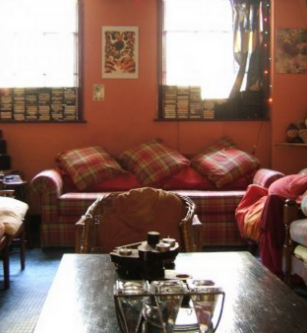 Baggies hostel is like a home away from home to its guests, who love the family atmosphere and the sense of everyone mucking in. Not to mention it won a Trip Advisor Award of Excellence for 2014! It’s fully self-catered, with a well-equipped kitchen and dining room. There is a chill-out lounge with a collection of classic movies and digital freeview, plus a projector and big screen. Other facilities include WiFi throughout, computer free of charge, on-site launderette and bike shed. For a £10 deposit you can have your own key, which means you have total freedom. 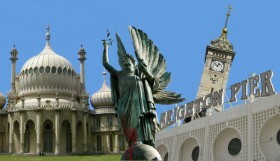 Baggies offer a special rate if you stay longer than 7 days, making it ideal to stay in if you are having an extended stay in Brighton, or while you are looking for somewhere more permanent. Check out the hostel’s website for regular updates and photos of what is going on at the hostel. Prices start at £14 per night for a dorm, private double room £40. 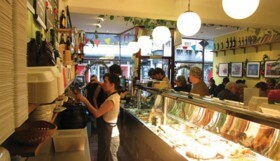 If you are looking to stay in a buzzing central Brighton location, the Grapevine can’t be beaten. It is situated amongst the eclectic mix of independent restaurants, pubs, and thriving arts scene that is Brighton’s North Laine. The North Laine is one of the city’s coolest and most vibrant areas, offering a wide variety of cosmopolitan cafés, bars, arts, vintage shops & comedy clubs including the iconic Komedia and Duke’s cinema. A weekend market is located just around the corner – no need for taxis as all the city’s amenities are within easy walking distance! Rooms at The Grapevine are ideal for students, group bookings, backpackers and discerning independent travellers and there is a lovely homely feel should you wish to extend your stay. There is a lively atmosphere so it is best suited to those who want to make the most of Brighton’s nightlife or are visiting for a party weekend. The staff are well known for being friendly, helpful and well informed so they are always happy to recommend a good places to go so you can get the best out of Brighton during your stay. Prices start from £15 in summer and £10 in winter. Winner of a Trip Advisor Award for Excellence 2014, Kipps Brighton is a small friendly backpacker’s hostel situated in the heart of the city; the only hotel or hostel in Brighton with views of the Royal Pavilion. 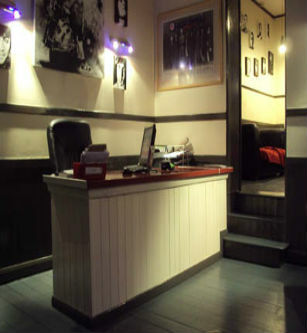 The hostel has a licensed bar, a gorgeous outside terrace, lounge area plus free Wi-Fi throughout. 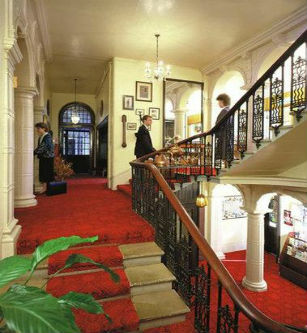 Nightly events organised by the staff include Wii/Xbox nights, pizza Nights and cocktail nights. We love the fact that photos are posted every week on the Kipps facebook page showing what has been happening in the hostel, along with a thank-you message to all the guests. If you’re in a group or staying on your own you will not be short of things to do and people to hang out with. 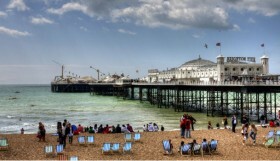 The hostel is within walking distance of Brighton’s main attractions including the Pier and beach, the Lanes and shopping areas. The Theatres and Brighton Centre are also close. The gay village is just round the corner, which offers some of the finest gay and lesbian bars in the South of England. Prices start from £19.50 in May/June and £15 in the winter making it fantastic value considering all the added extras. Private rooms are available. 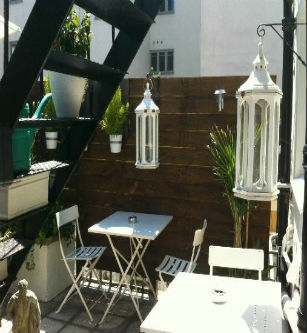 Gulliver’s Hotel and B&B is a charming, elegant and tranquil Georgian Townhouse in central Brighton. If you prefer the privacy of a guesthouse to the bustle of a hostel, this is one of the most reasonable budget hotels Brighton has to offer. 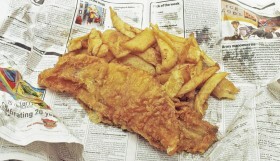 Winner of a Trip Advisor Award of Excellence for 2013, at Gulliver’s you will be truly looked after. Although it is a budget hotel, a personalised concierge service is at the guests’ disposal 24 hours a day and each of the bedrooms has been designed to incorporate comfort and style with modern facilities, suiting both leisure and corporate clients alike. The New Steine Bistro, located at the sister hotel two doors down, acts as the hotel restaurant, which caters for snacks throughout the day and evening 7 days a week. Offering Brighton’s best homemade French cuisine along with British fare, with either a full a la carte menu or daily 3 course special menu, it is the perfect place to enjoy exquisite food in a welcoming environment. The cosy bedrooms provided are well equipped to give a feeling of relaxed luxury whilst offering cheap and competitive prices without compromising on quality. A peaceful stay and good night’s sleep is guaranteed. Prices start at £39.99 with a choice of B&B or room only.